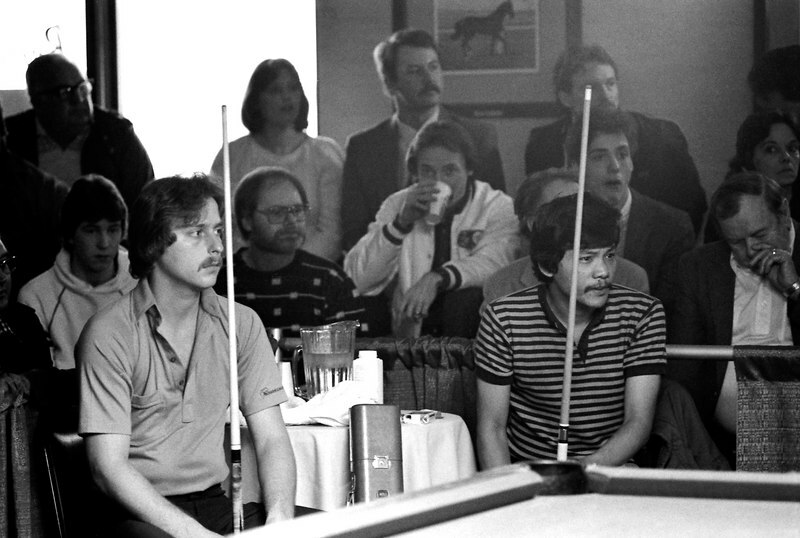 Earl Strickland ("Earl the Pearl") on the left and Efren ("The Magician") Reyes on the right. These two great champions always seemed to respect the other ones game. The man directly behind the water pitcher is Grover Baker from Detroit. He was on the road with the young Detroit phenom by the name of Ricky Graczyk who can be seen directly over Earls left shoulder.